Find out more about the greatest Ethiopians, including Haile Selassie, Marcus Samuelsson, Menelik II, Abebe Bikila and Liya Kebede. 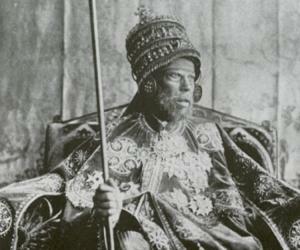 Ethiopia, a land that boasts of a vibrant culture and rich traditions, has produced many famous personalities in the fields of music, arts, literature, and science. Especially renowned for its diversity in music, each of the country's ethnic groups is associated with unique sounds ranging from traditional folk music to Christian and secular music. Ethiopian songwriter Zelal Mekuria, Ethio-jazz musician Mulatu Astatke and singer Alemayehu Eshete have played major roles in promoting Ethiopian music in the modern age. 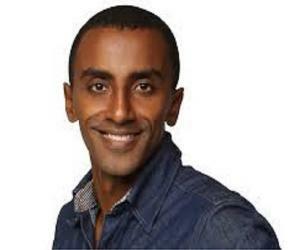 One of the most prominent Ethiopian singers in the contemporary world is Gigi. Hardy, well-built and athletic, Ethiopians are also famous for displaying their physical prowess in sports. The nation is best known internationally for its middle-distance and long-distance runners like Haile Gebreselassie (World champion and Olympic champion), and multi-gold medalists Meseret Defar and Tirunesh Dibaba. A multilingual nation with around 80 ethnolinguistic groups, Ethiopia has produced prominent writers like Abe Gubegna, Sebhat Guèbrè-Egziabhér, and Getatchew Haile who have published works in various languages. The nation is also the birth place of Loret Tsegaye Gabre-Medhin, an internationally respected poet, playwright, essayist, and art director. 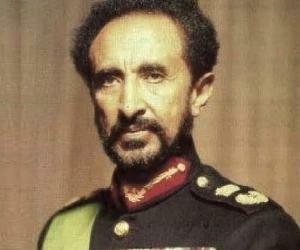 This section provides you information about the life and works of famous Ethiopians.